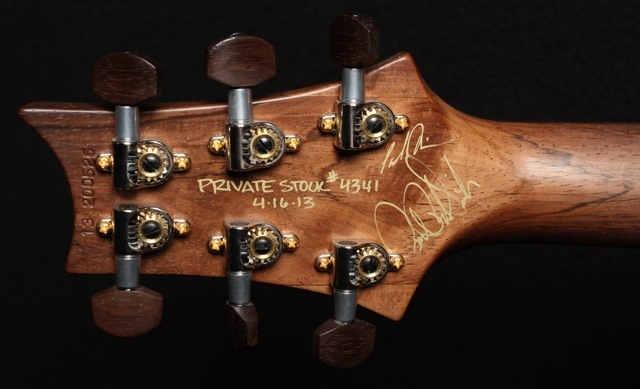 A 2013 PRS Paul Reed Smith Private Stock Guitar showing no signs of wear or abuse. 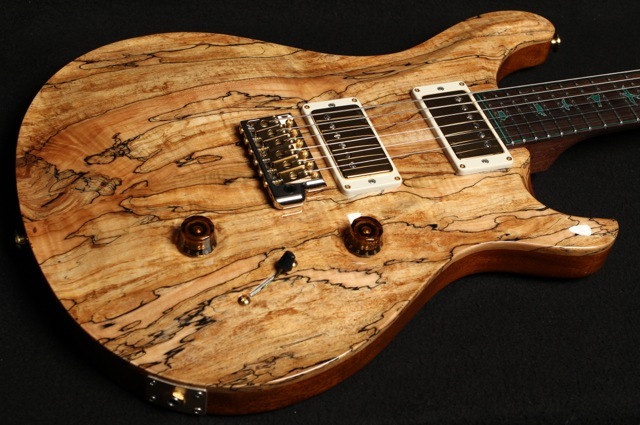 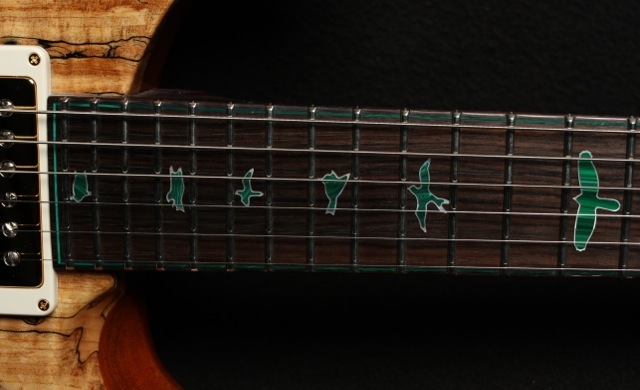 THIS is a killer PRS Private Stock Custom 24 with a solid Brazilian rosewood neck and fretboard, one piece spalted maple top, with malachite birds and purfling and mother of pearl outlines on the birds. 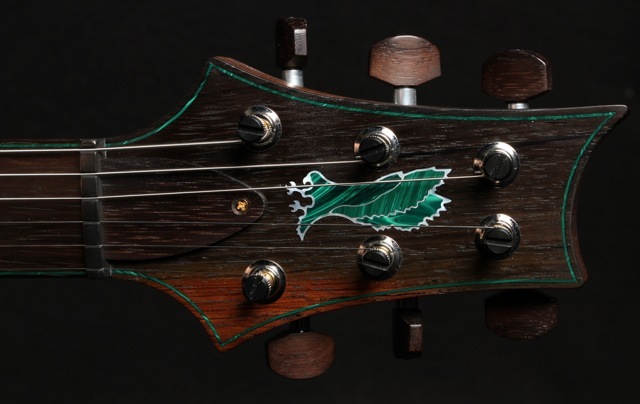 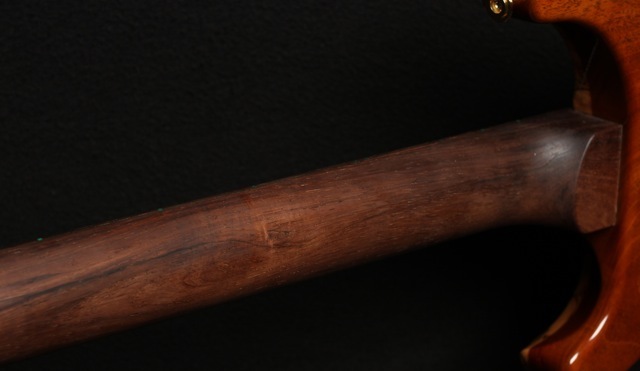 Brazilian rosewood tuner buttons, Brazilian rosewood headstock overlay, and Brazilian rosewood trussrod cover. 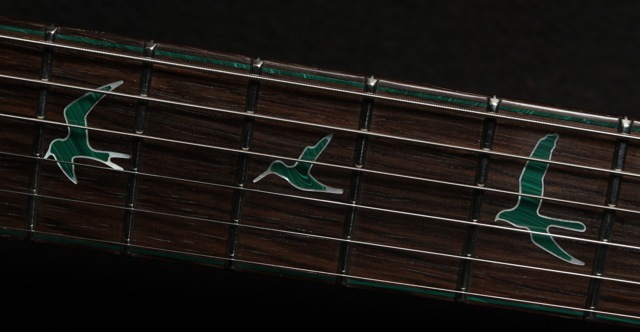 It has a 59/09 pickup in the bridge, and a 53/10 pickup in the neck position. 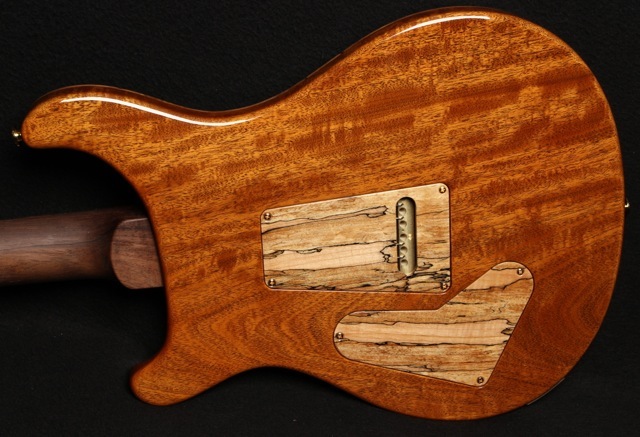 A special order for a Collector this has been the only owner, keeping it a my smoke free home. 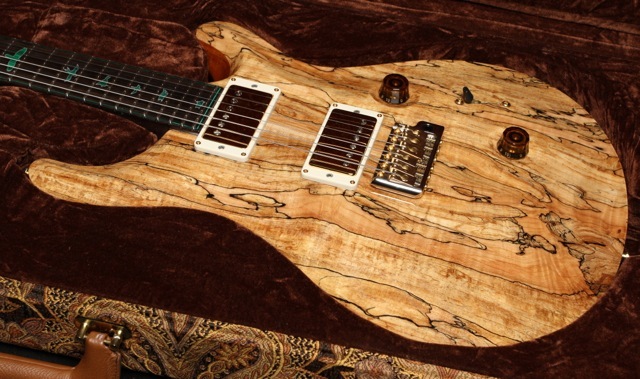 This is a fantastic example of a Private Stock PRS and is both unique and really striking in person. 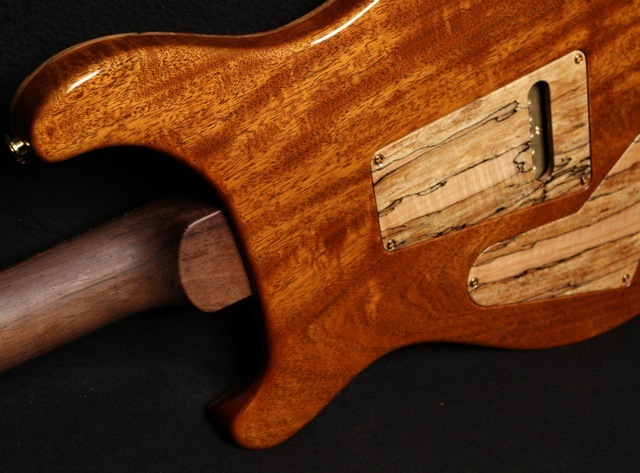 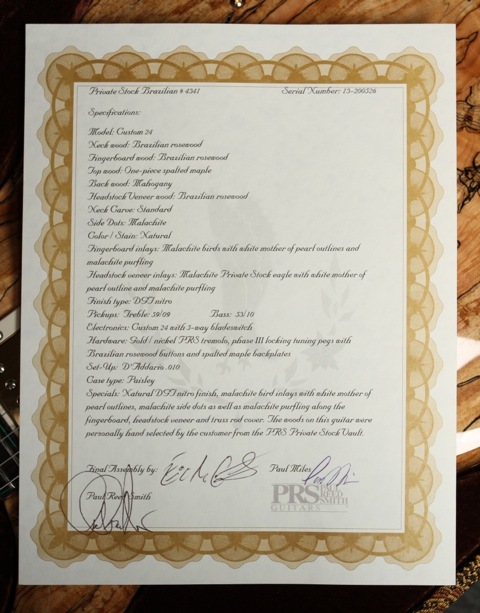 It has a regular neck carve and all other specs are shown on the certificate of authenticity. 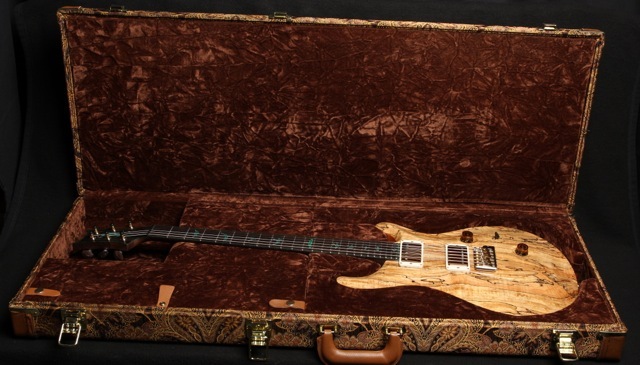 Included is the paisley case that has never left his home. 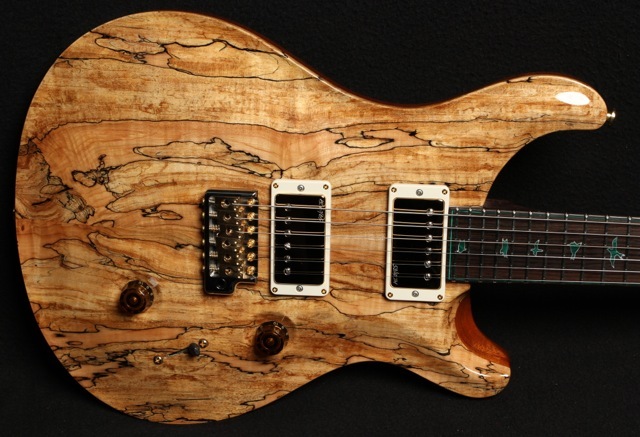 PRS Paul Reed Smith Private Stock Angelus Namm 2017 Imbuya Burl SOLD!